There are times when a horse's disease or traumatic injury can be best treated here at our facility. Our equine wing has 3 spacious stalls with safe rubber flooring where horses can benefit from daily examination and treatment by our doctors and staff. Two of the stalls are equipped with overhead fluid hangers for IV fluid treatment. Our mare and foal stall has a partition where a foal can receive IV fluids, still be visible by their mom and not run the risk of entangling lines. We also have a specific surgery stall with a padded door to assist us in laying down larger horses under anesthesia in a safe and controlled manner. In addition, there are 2 smaller paddocks and 1 large pasture with a shelter for those horses that can be turned out safely. If your horse would benefit from more intensive therapies such as oxygen therapy, tracheostomy, or a sling (e.g. for neurologic horses that cannot stand) we will recommend and facilitate referral to a specialized facility. Colic is often a life-threatening condition with many causes and different options for treatment. There are times when IV fluids, pain medication and repeat nasogastric intubation can relieve non-surgical colics. 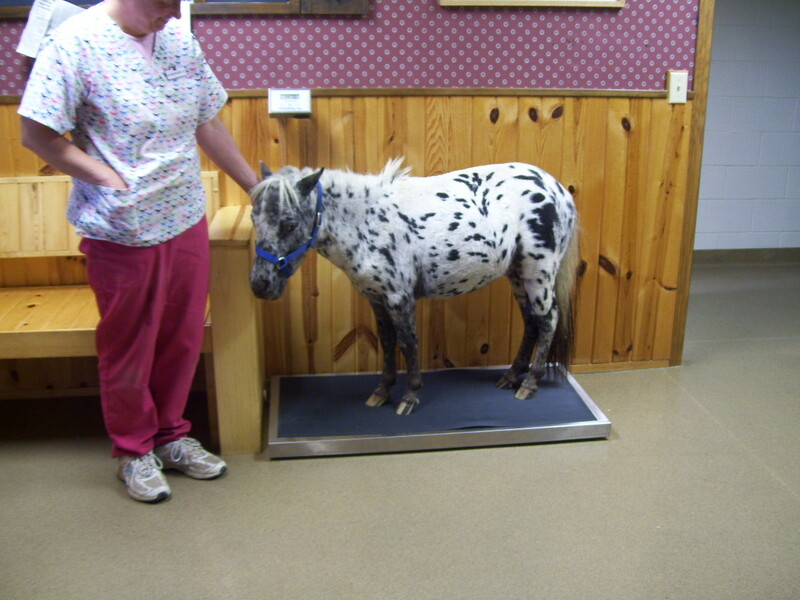 Medical treatment of colic can be accomplished at our equine facility. We have 2 stalls equipped for hanging IV fluids, stocks for repeat physical exams, and grass areas for walking and hand grazing. Our in-house blood analyzers give quick results and allow us to better assess your horse's condition and make changes as needed for their treatment. Abdominal ultrasound can be a very helpful diagnostic tool. Having a horse in the clinic allows for repeat examinations and quick referrals if your horse's medical colic becomes surgical. Signs of colic can include rolling, kicking at their stomach, lying down, not eating, pacing, sweating without exercise, increased respiration and finally a bloated appearance. Please call as soon as possible if your horse is exhibiting any of these signs. 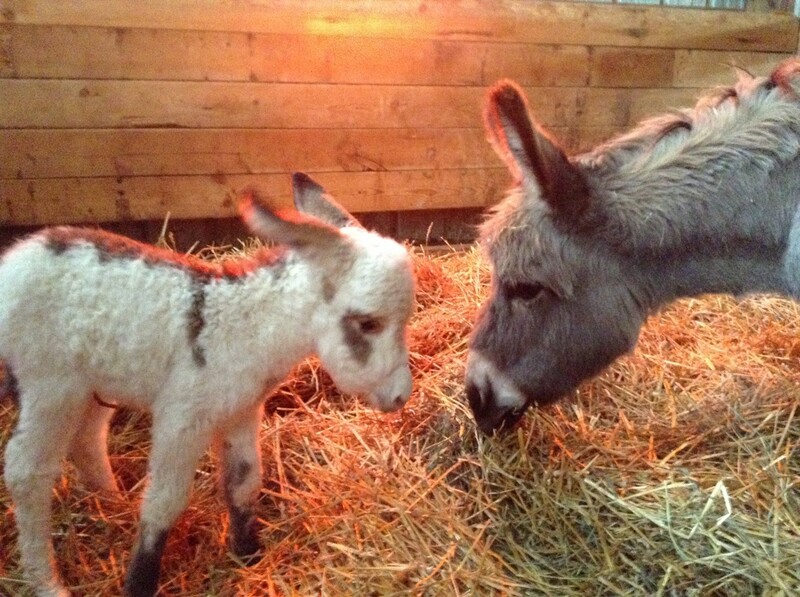 The birth of a foal can be an exciting time where dreams are realized and hearts are stolen. Unfortunately there is a small percentage of the time when problems occur. When things do happen or foals become sick, it is vitally important that they be seen immediately and access treatment as soon as possible. Our equine wing has a large mare and foal stall with a specific partition so the two can be together without danger of the mare becoming entangled in the foal's IV fluid lines, or bandages. Our staff is on hand throughout the day to monitor and treat foals as needed. Radiographs and ultrasound are often used to evaluate foals and direct our course of treatments. More advanced treatments such as splinting legs, joint flushing, umbilical hernia repair, and IV plasma transfusions can be given in our clinic on a daily basis. If you think your foal is not quite right, or obviously sick, please call immediately. Left laryngeal hemiplagia or "Roaring"
Endoscopy must be performed under sedation and in restraining stocks for the safety of the horse, staff and equipment. Mary Heide, an employee of the Athens Veterinary Service, is a Certified Veterinary Technician and is also a 2012 Massage and Rehabilitation graduate from the Healing Oasis Wellness Centers Post-Graduate Certification Program. She is committed to her professions and keeps current in advancements. Mary is licensed to care for large and small companion animals as well as farm animals. Good communication and a team approach between you, Mary, and the veterinarian are important to achieve quality results. Book your appointment today!